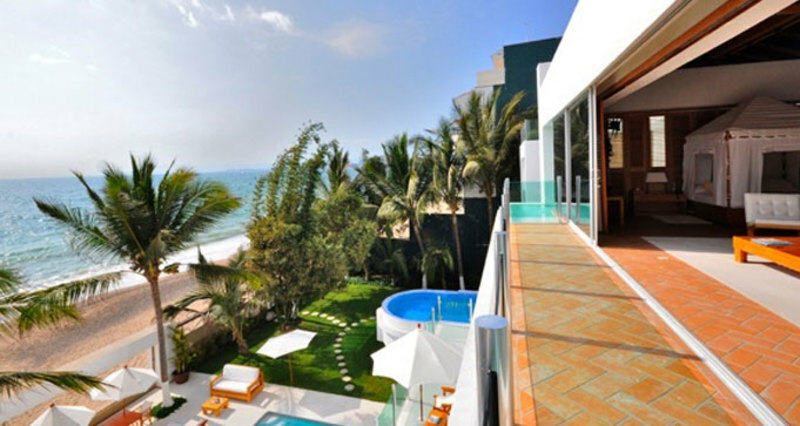 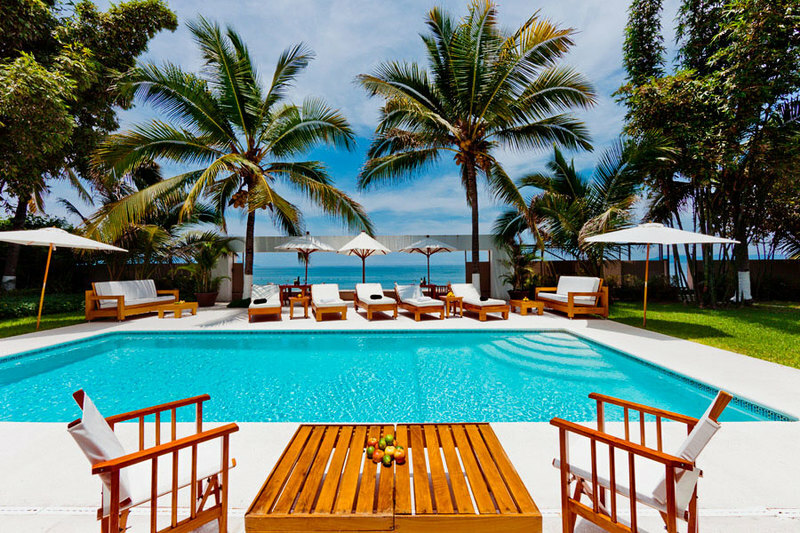 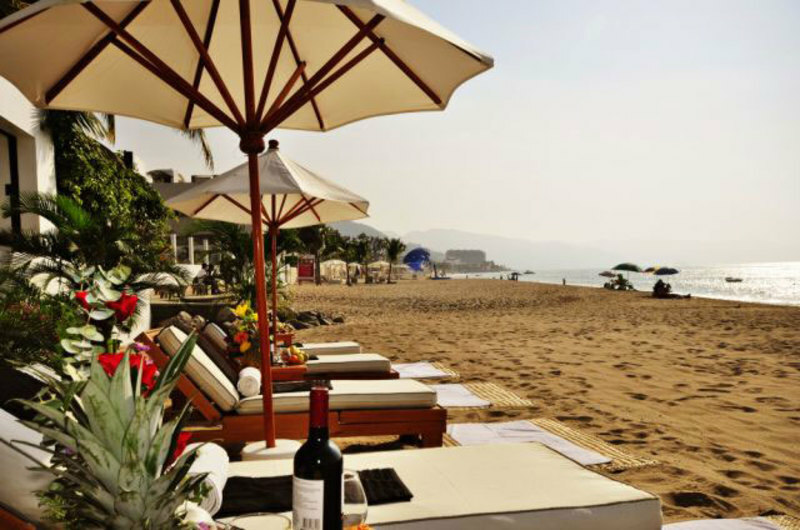 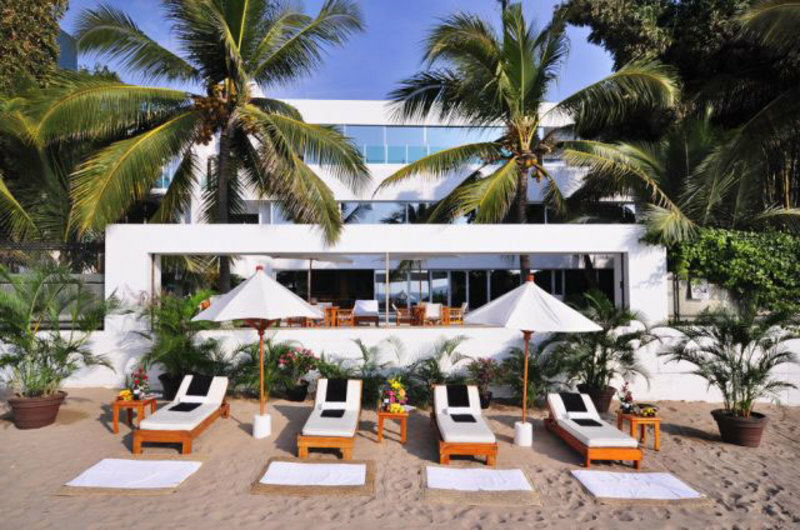 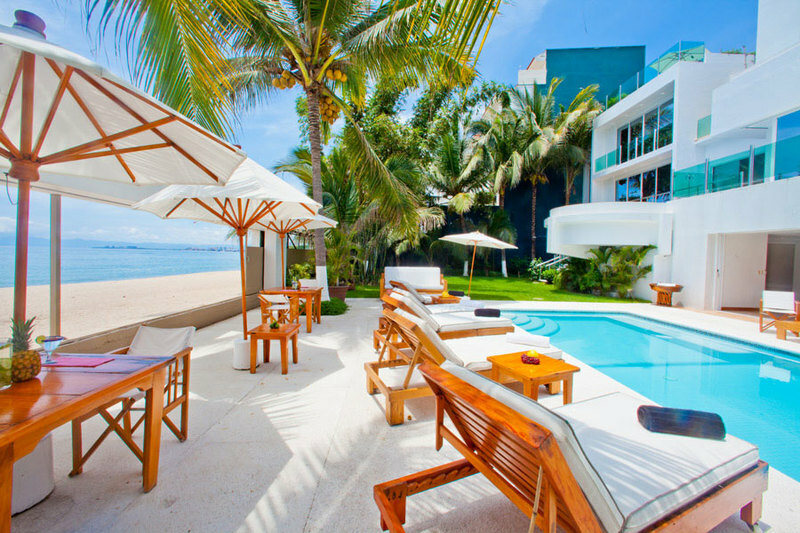 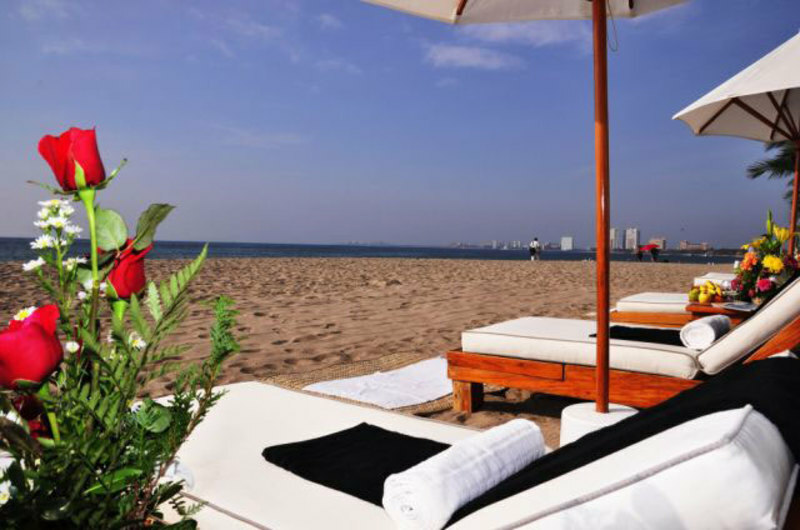 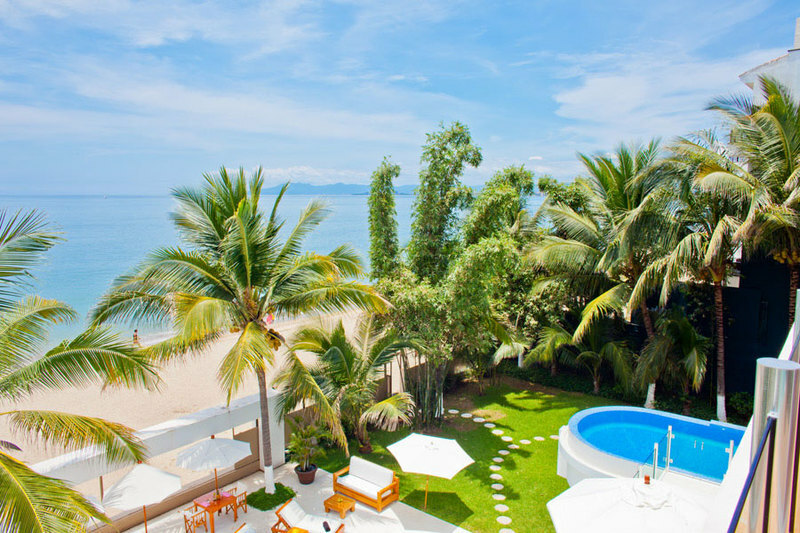 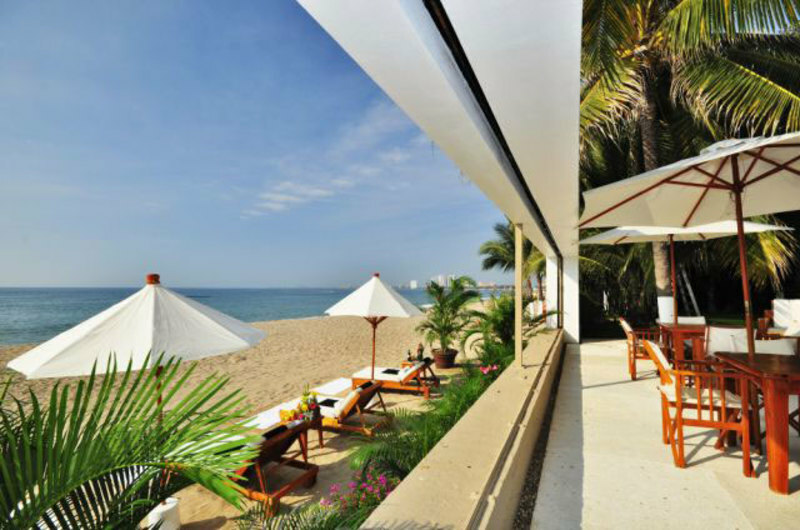 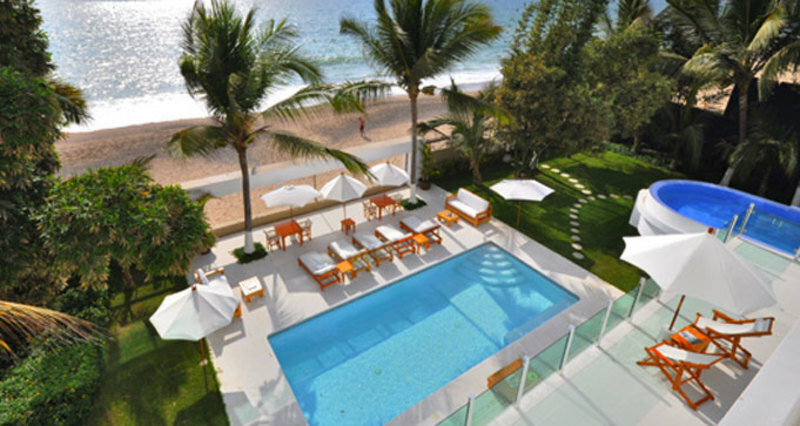 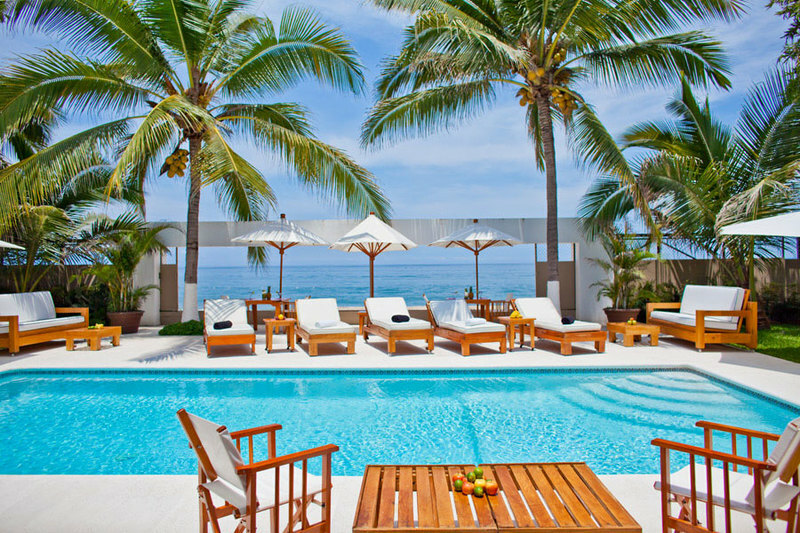 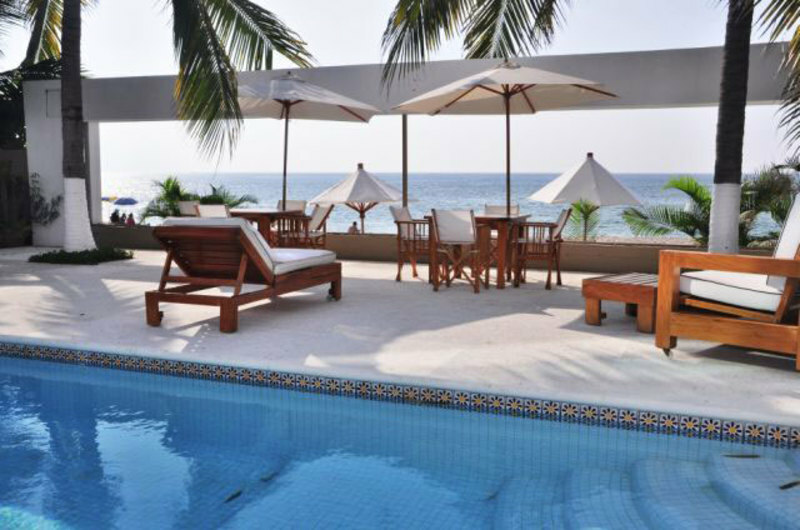 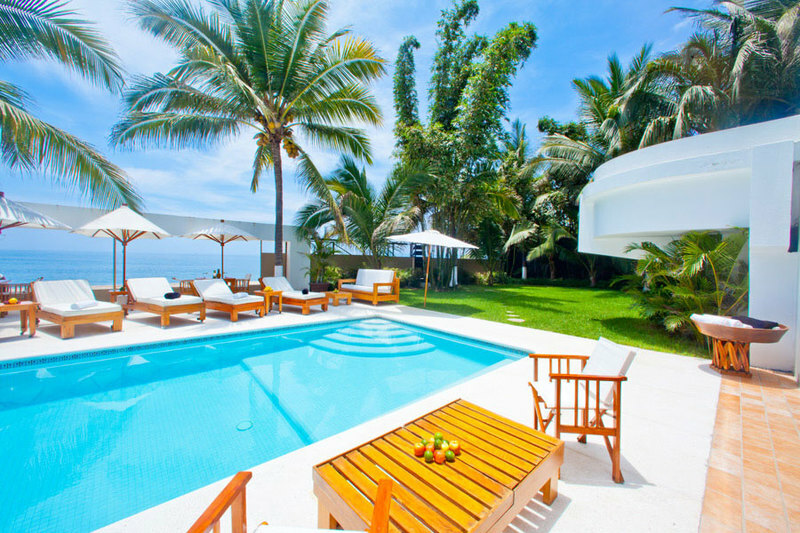 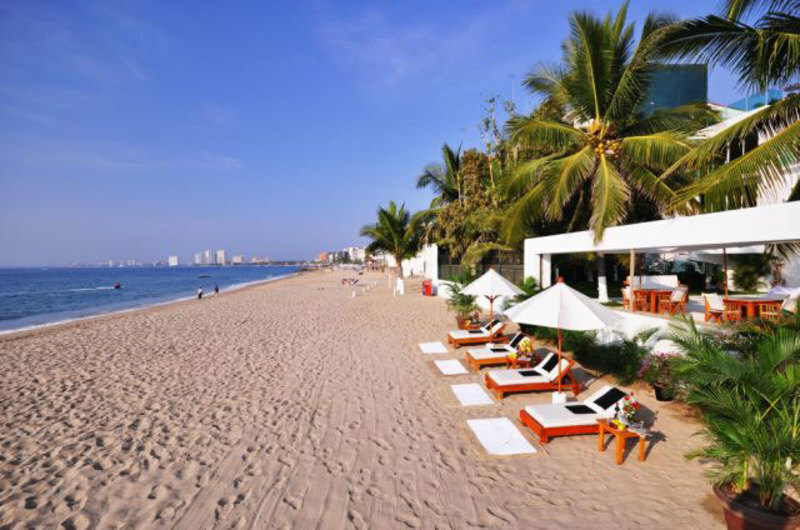 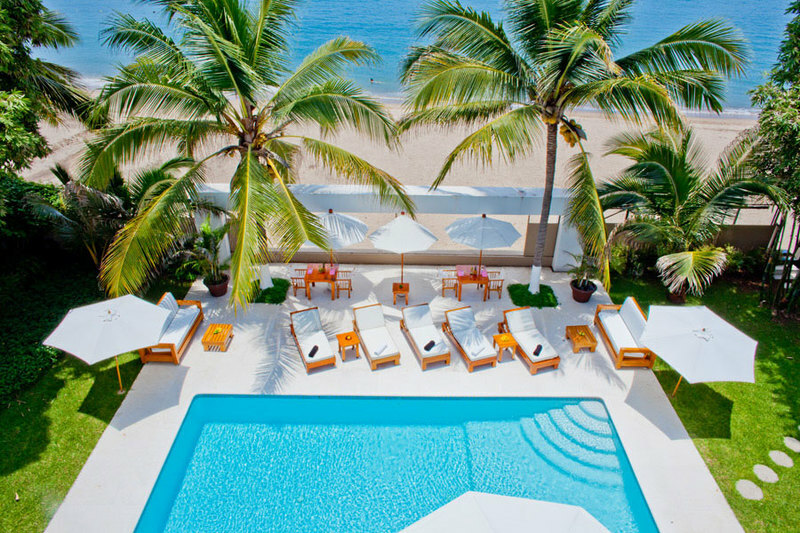 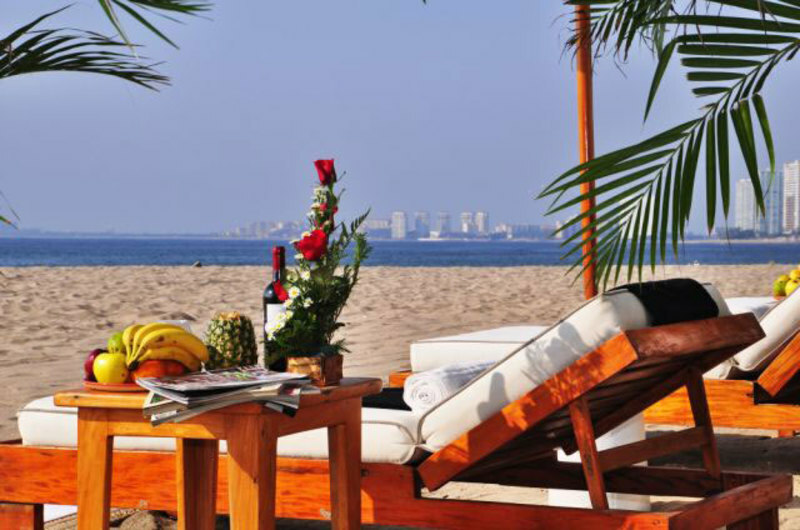 Casa La Playa is a secluded, 20,000 square foot beachfront hideaway with 8 oceanfront suites, located just four blocks from downtown Puerto Vallarta. 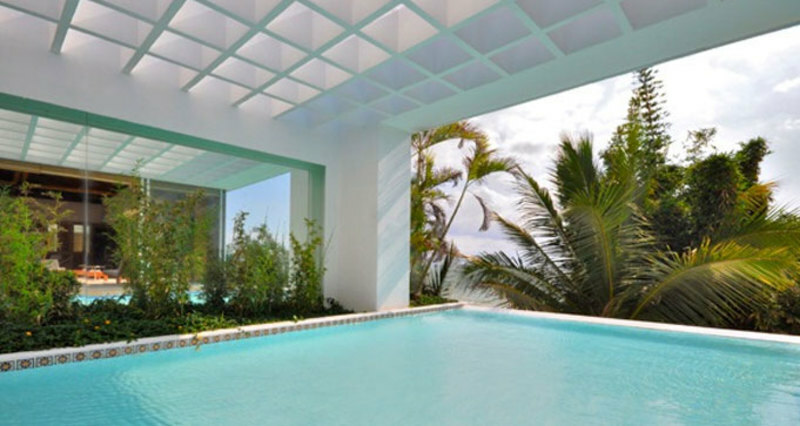 Natural beauty and contemporary elegance come together in this ideally located three-story villa, which features swimming and reflecting pools, and lush ground-level and rooftop gardens that add to the ambiance of a serene tropical sanctuary. 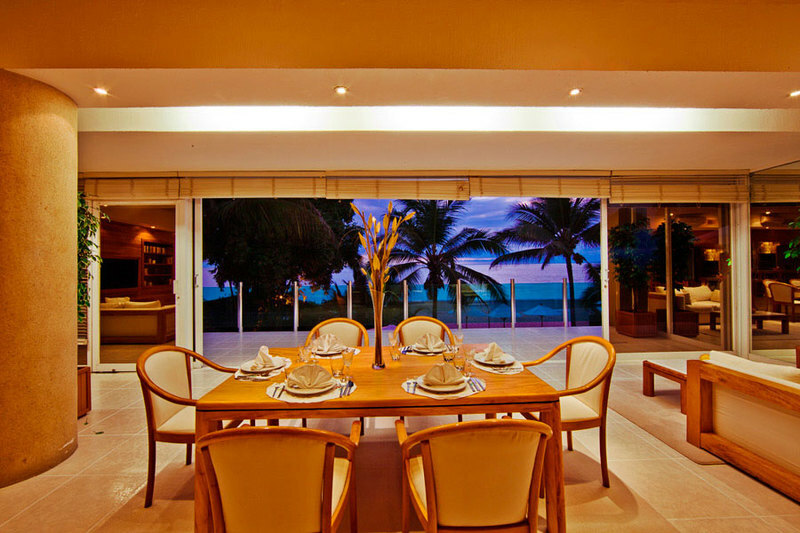 Indoor/outdoor living areas let in the ocean breeze, and expansive windows offer stunning, unobstructive views of the sunset over Banderas Bay from every room, while a large first-floor pool, smaller penthouse pool, and sandy beach present plenty of opportunities for relaxation. 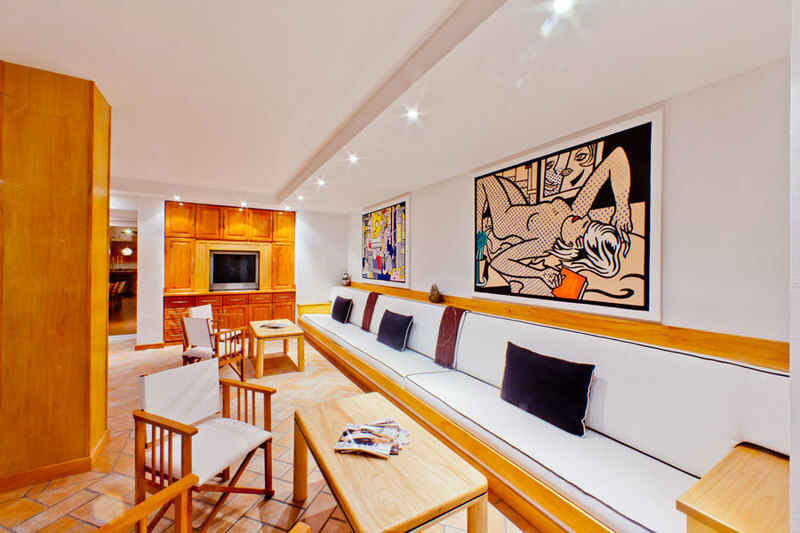 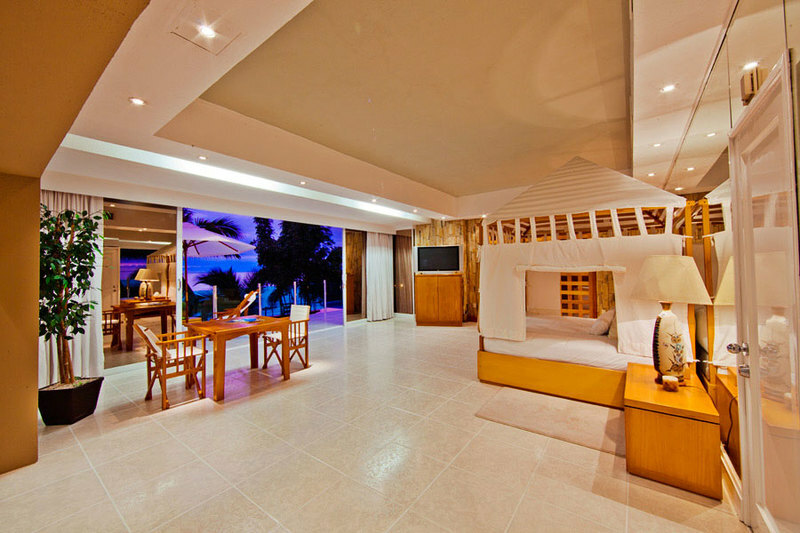 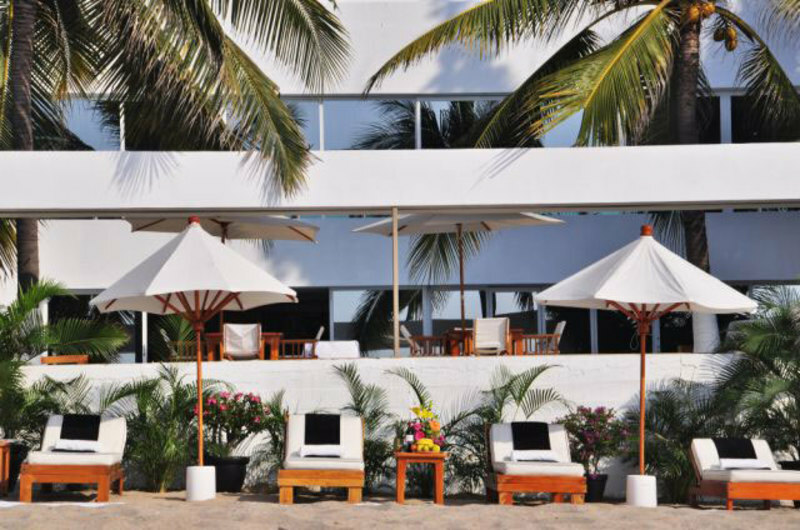 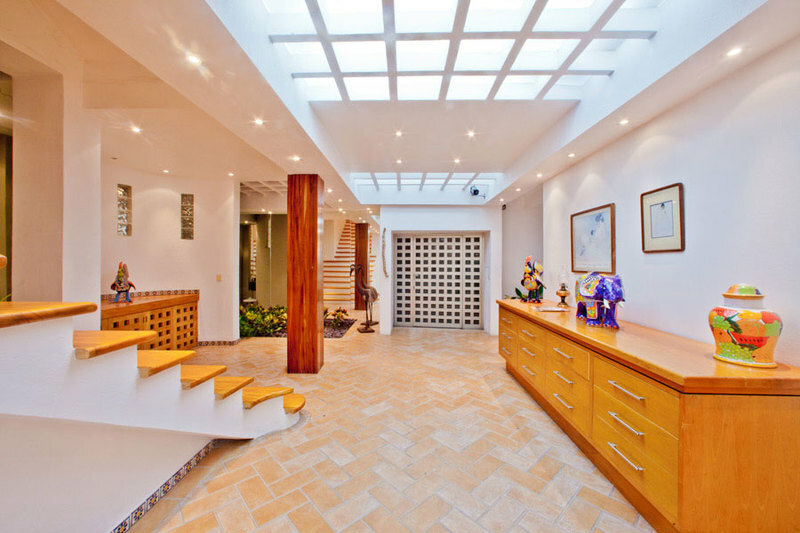 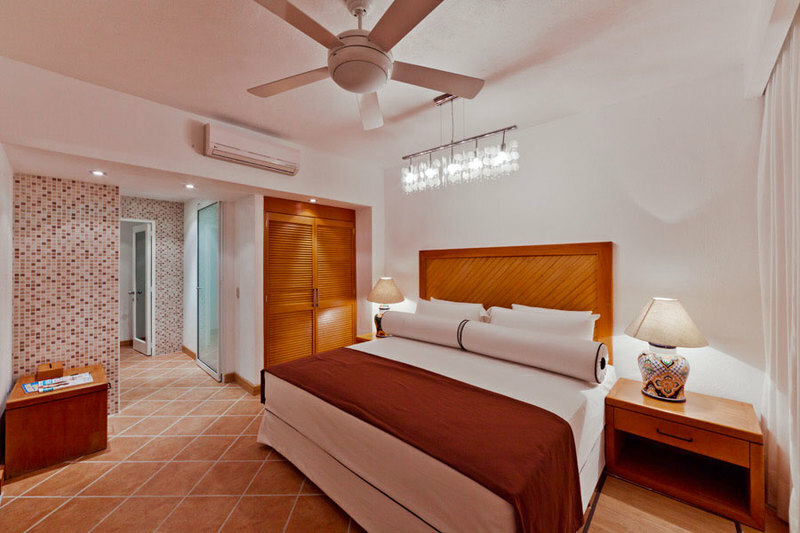 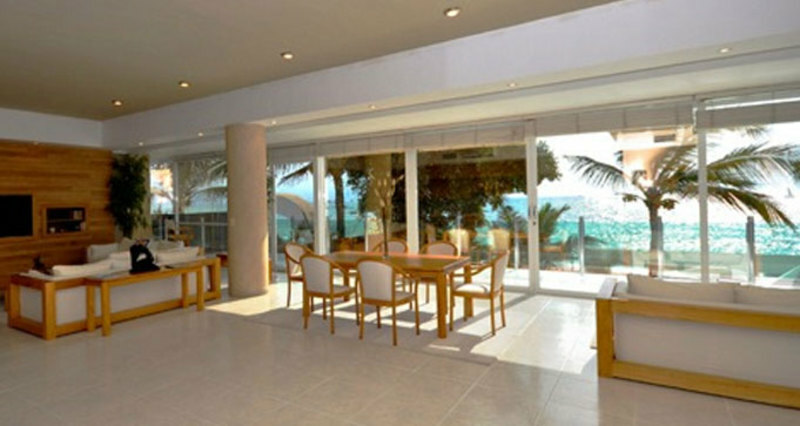 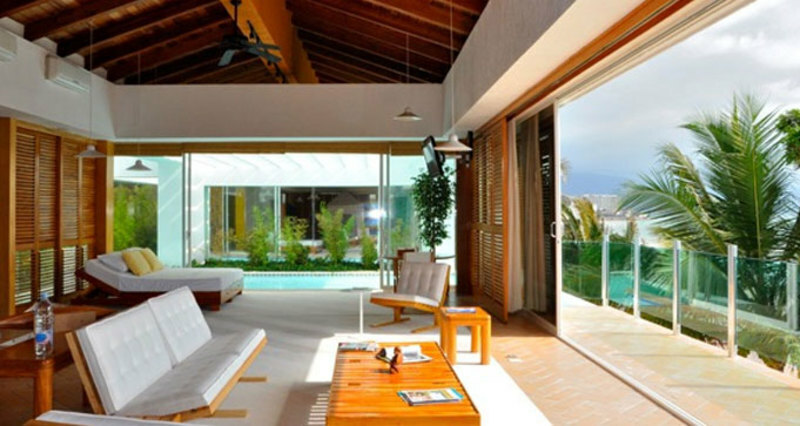 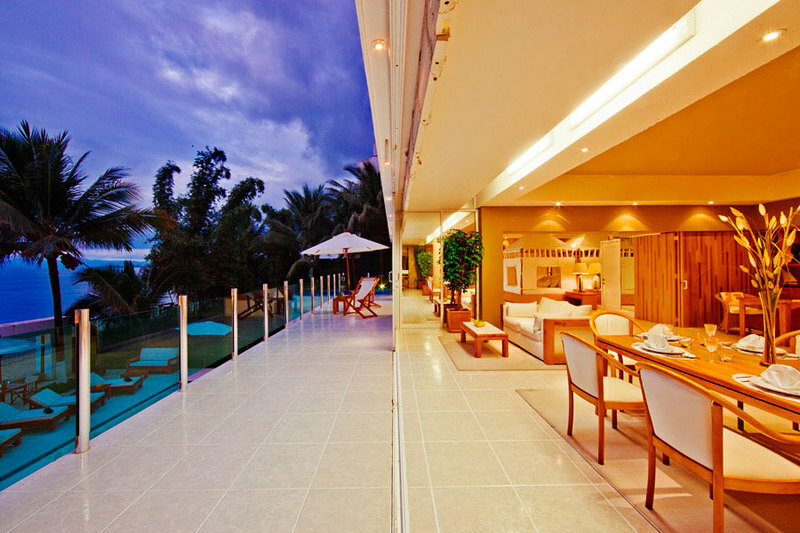 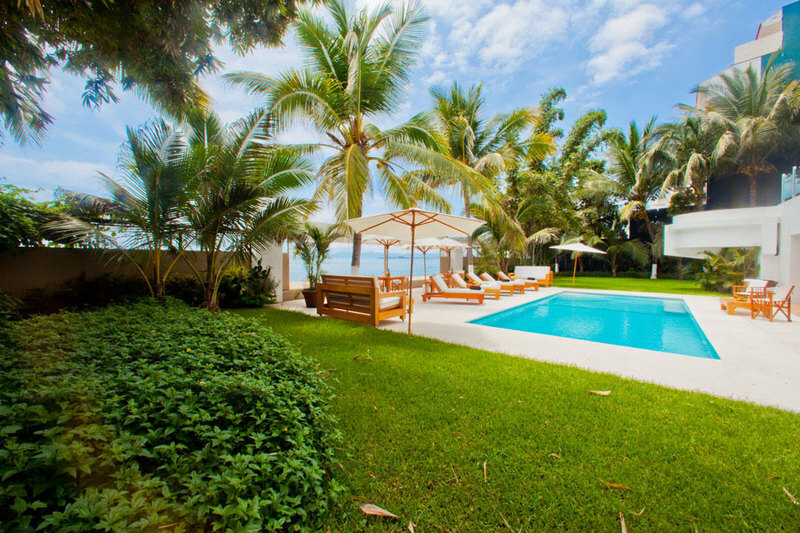 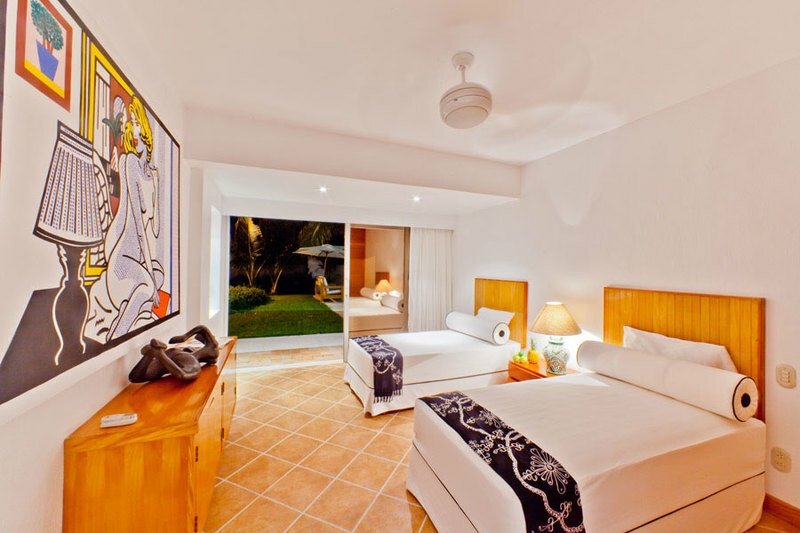 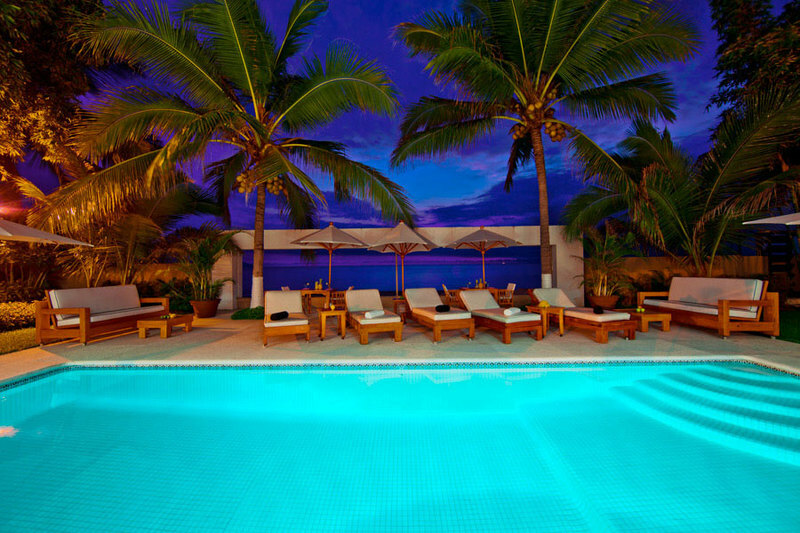 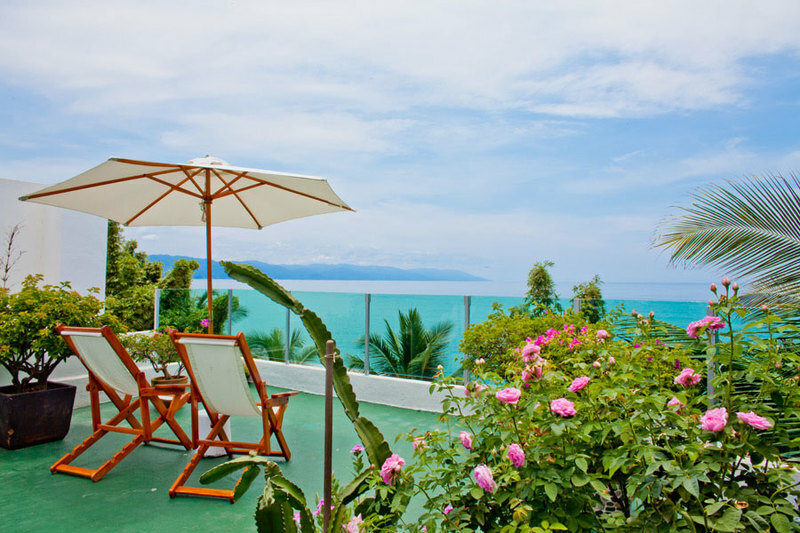 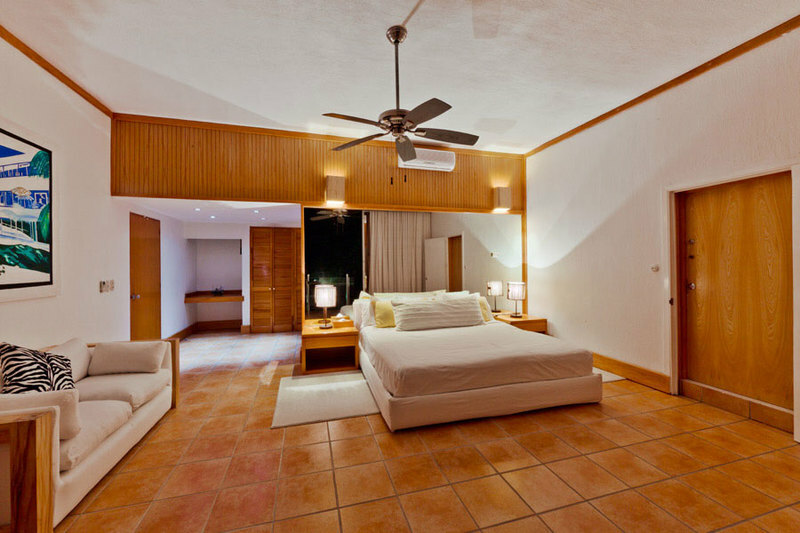 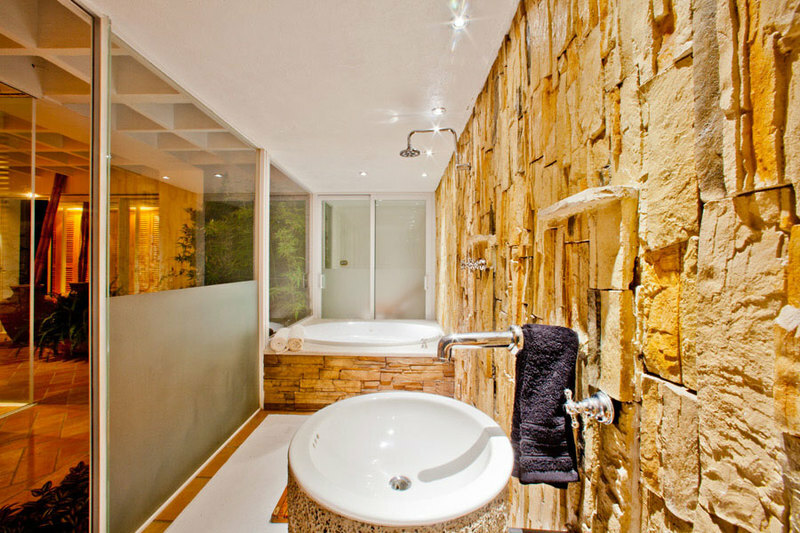 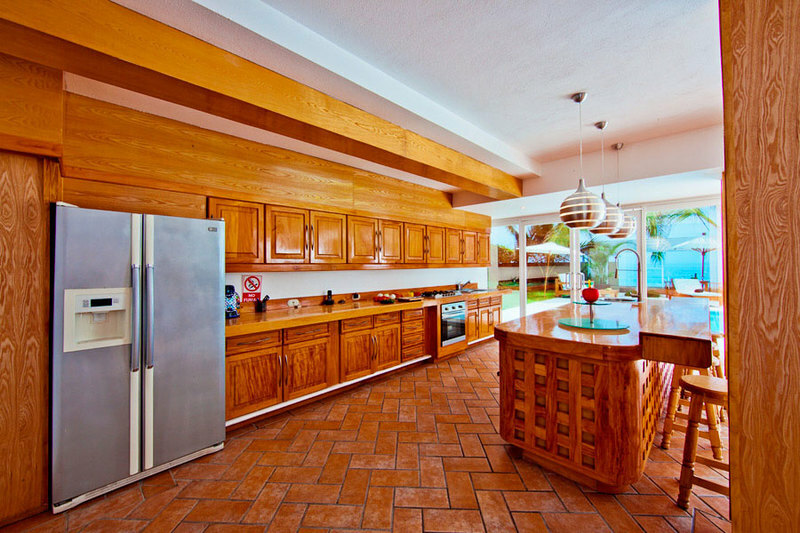 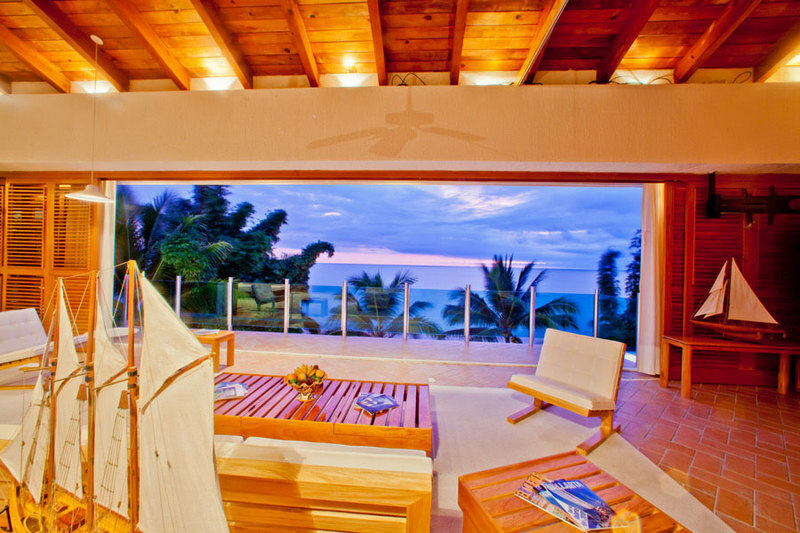 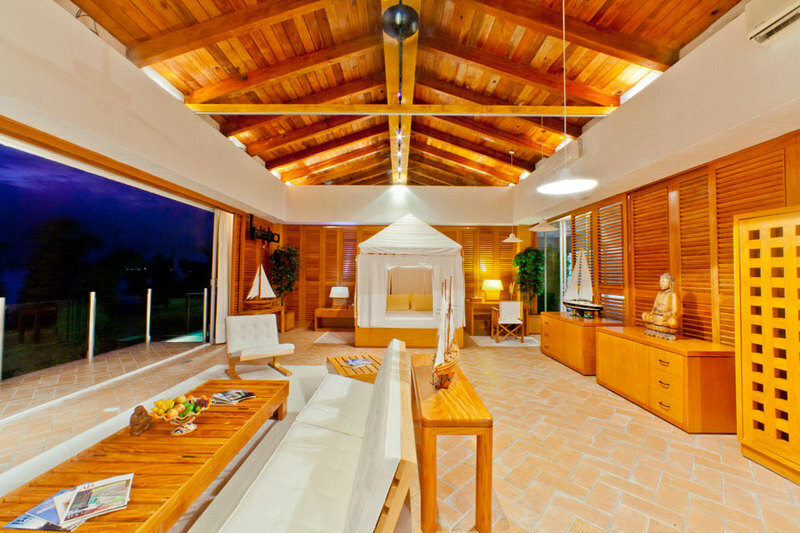 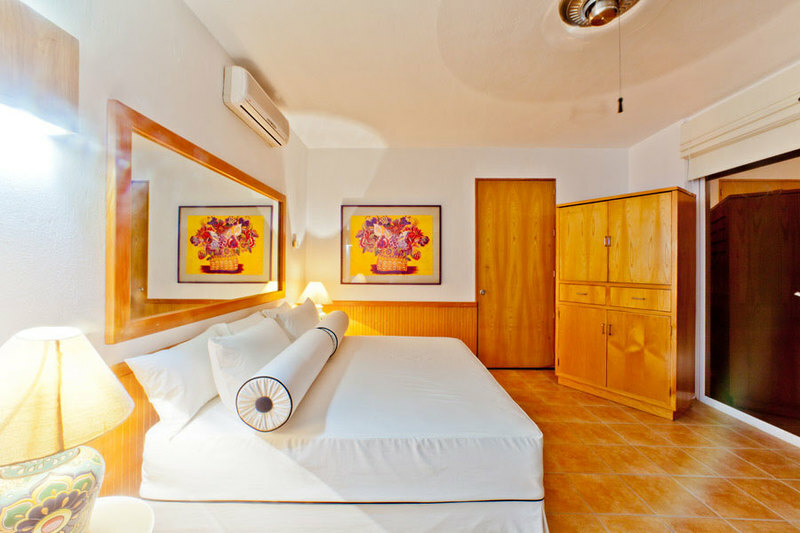 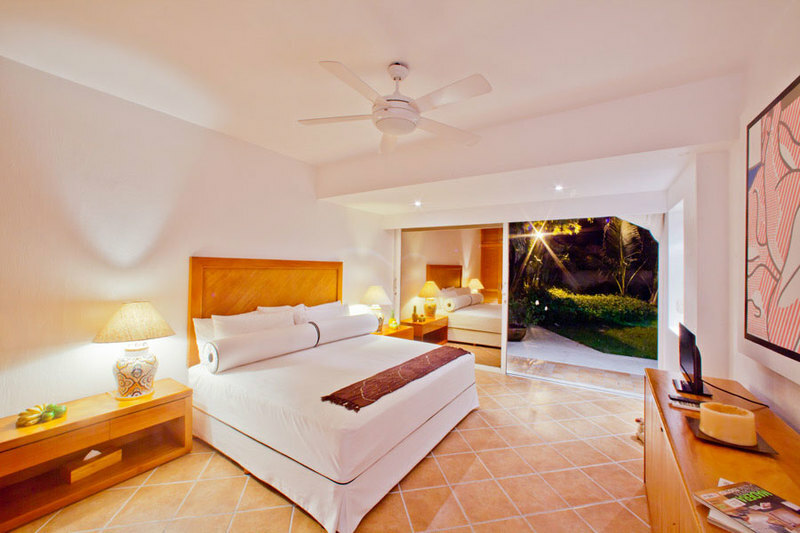 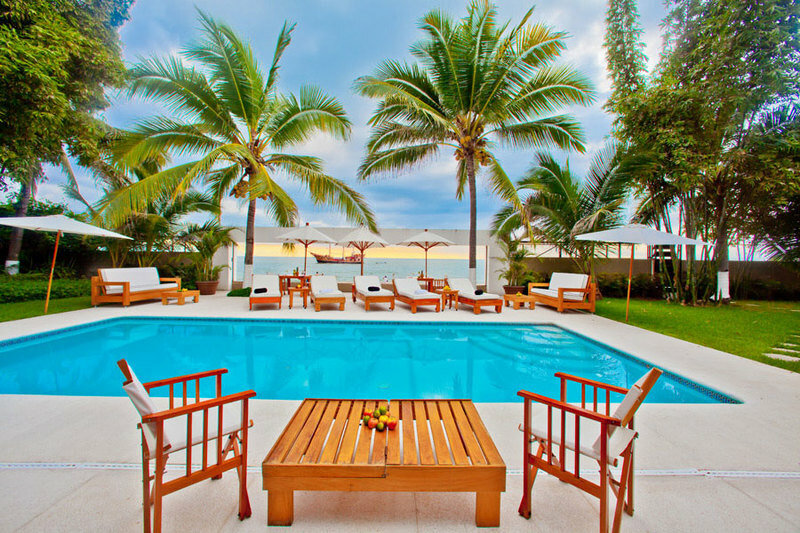 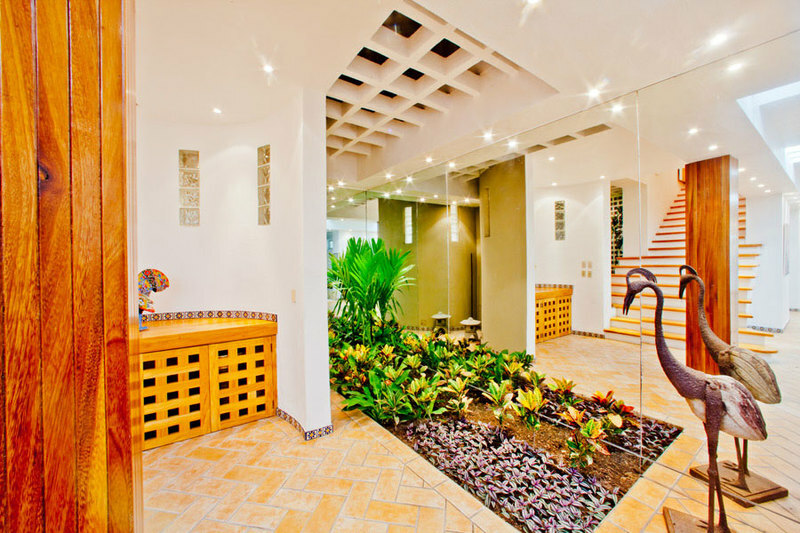 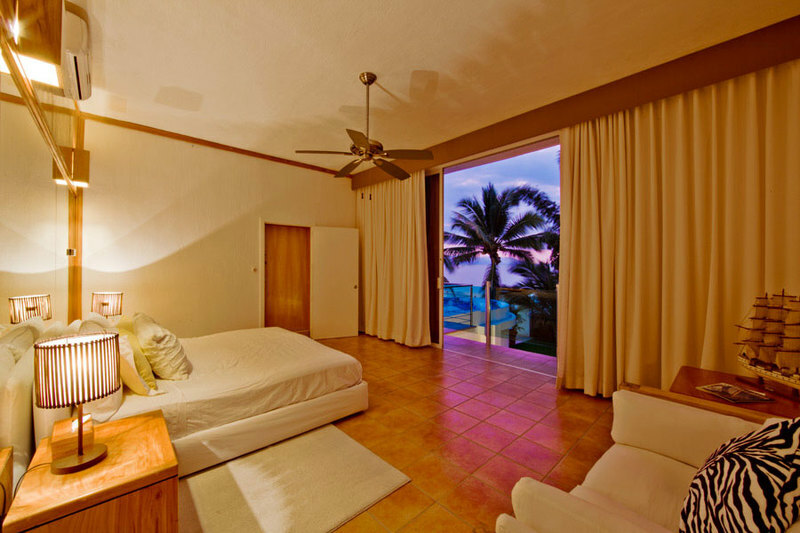 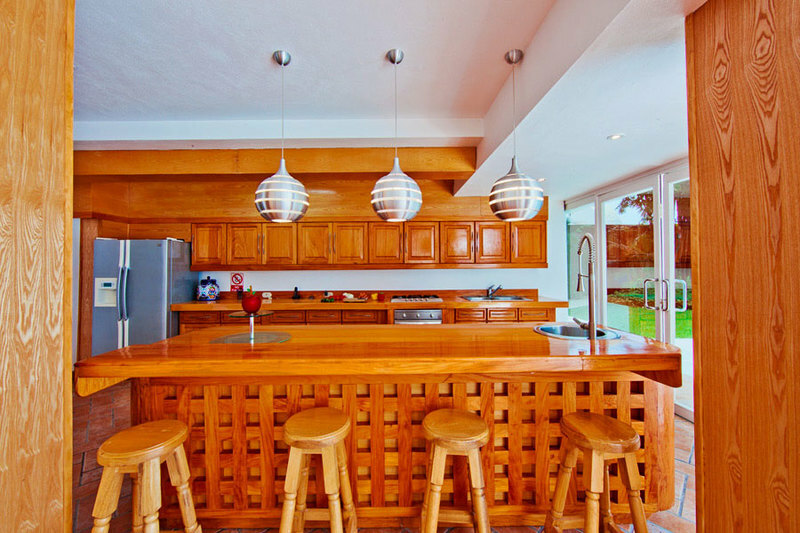 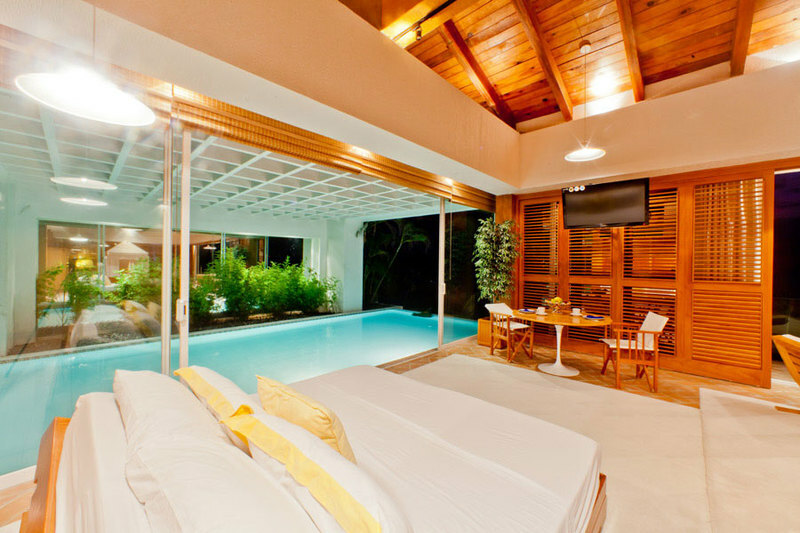 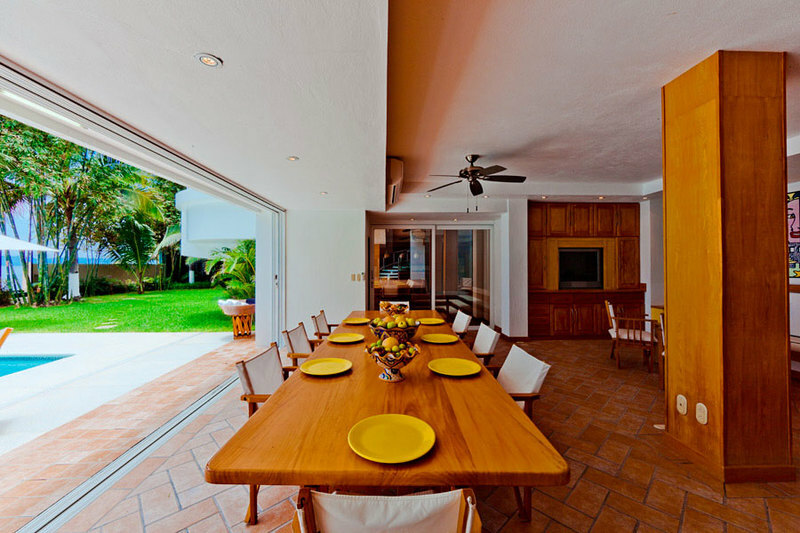 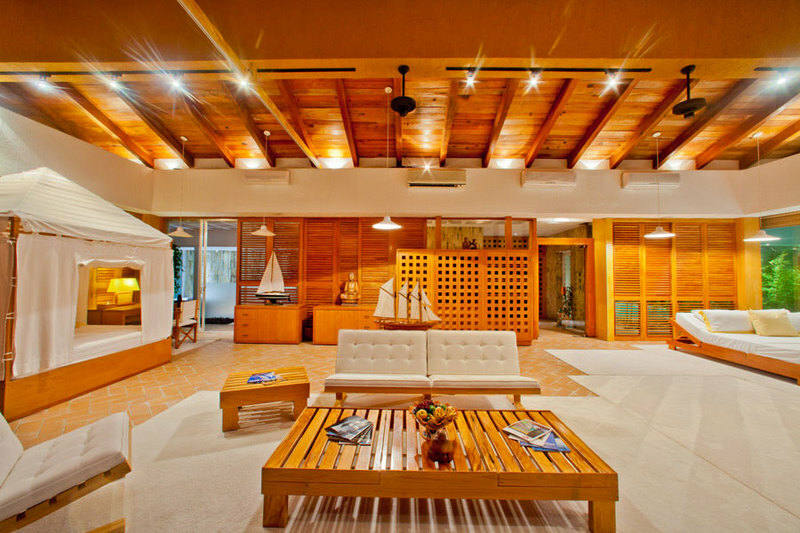 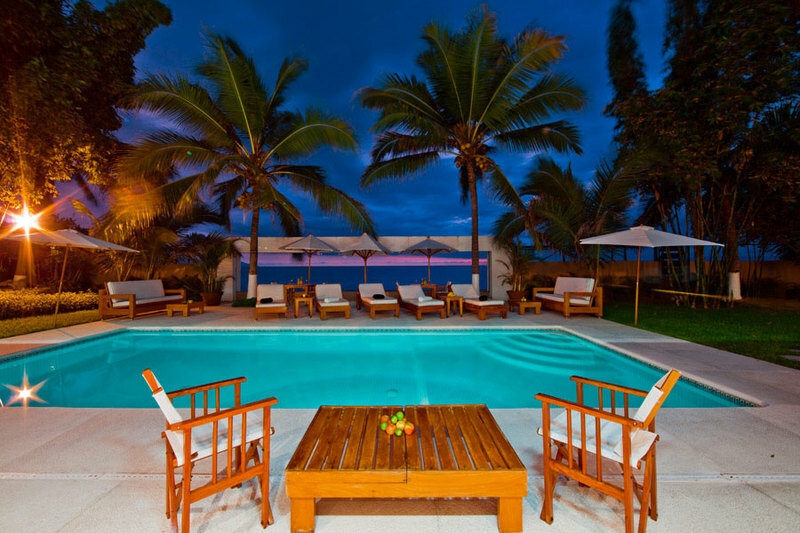 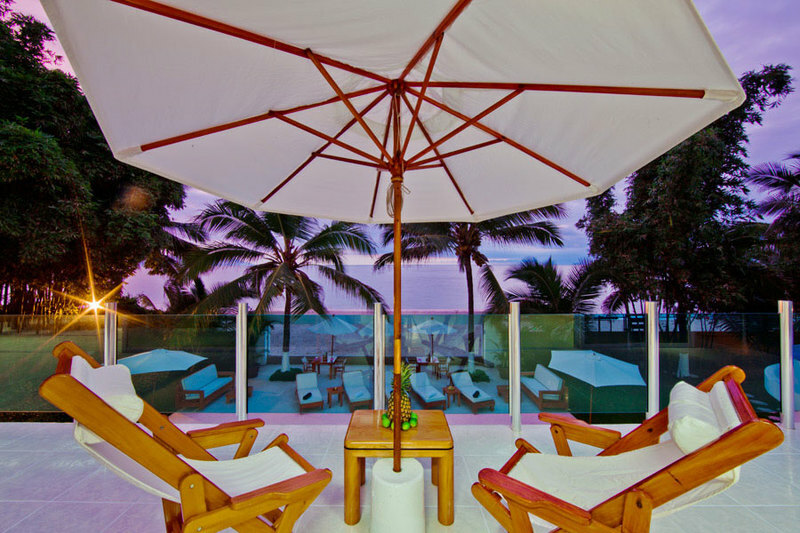 The inside of Casa La Playa rivals the beauty of its gorgeous surroundings. 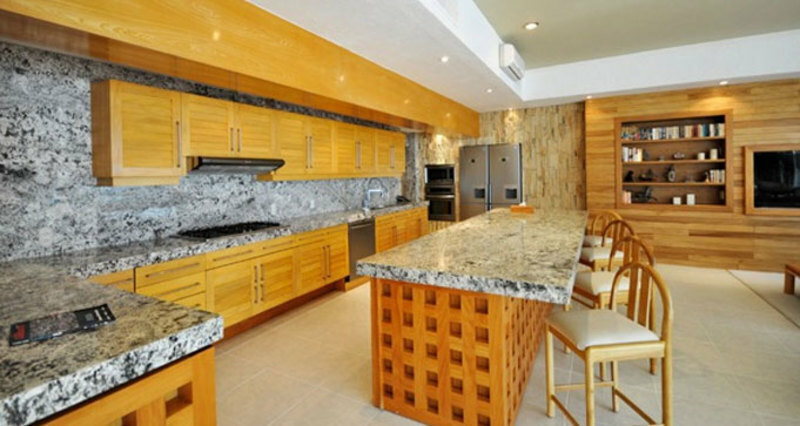 Two living and dining areas, two kitchens and kitchenettes, and a total of eight bedroom suites, complete with 8 full bathrooms and 3 powder rooms, offer plenty of space for guests to unwind. 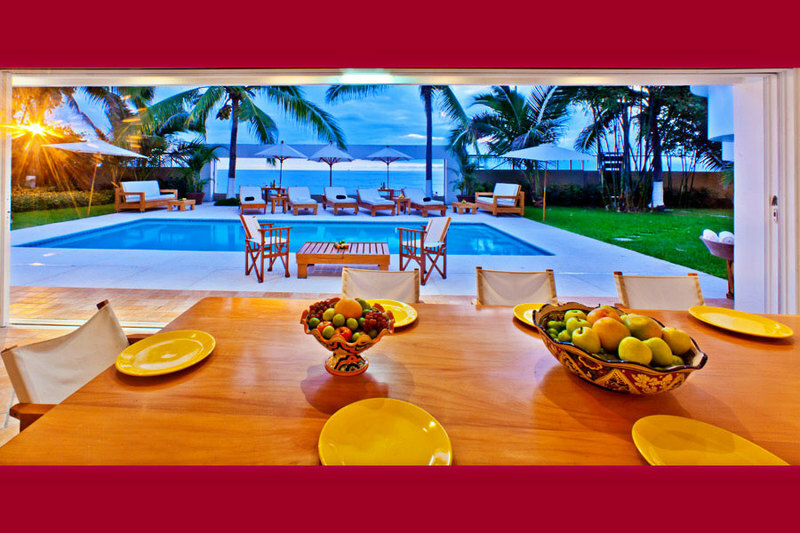 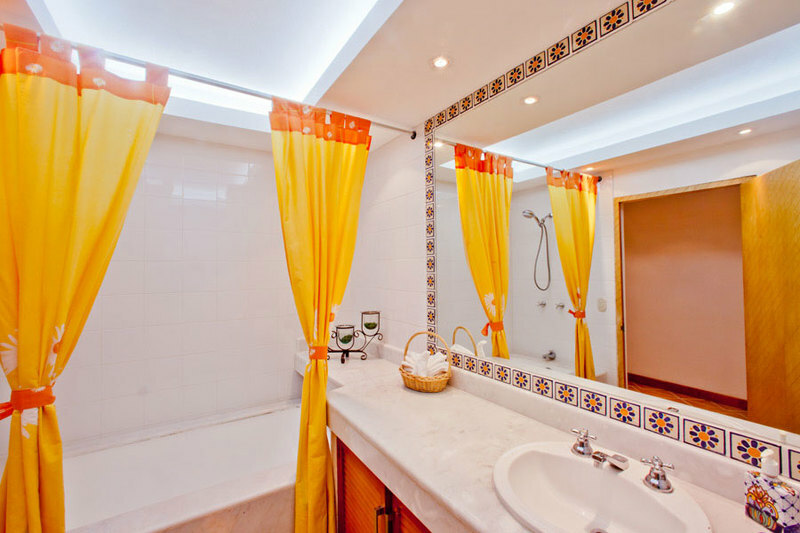 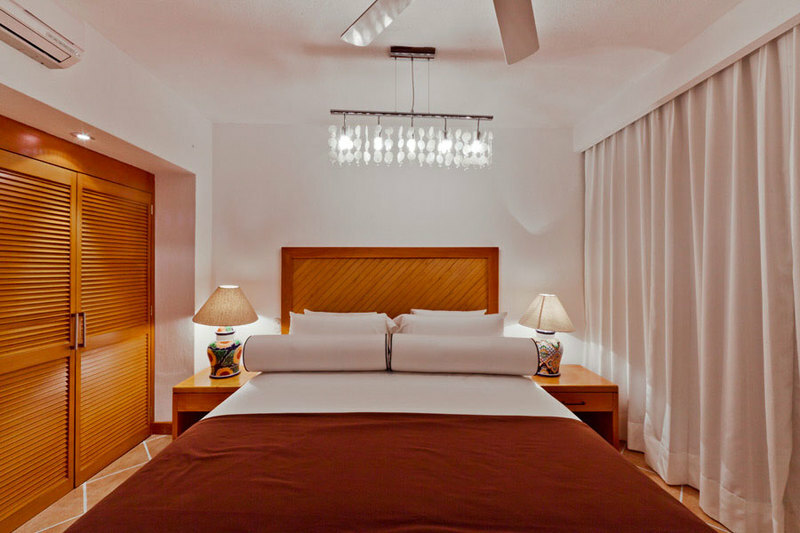 Casa La Playa has all the comforts of home - air conditioning, WiFi Internet, satellite television, Vonage, chef and server for two meals a day (breakfast and lunch), daily maid service, concierge, houseman, and night watchman (dusk til dawn). 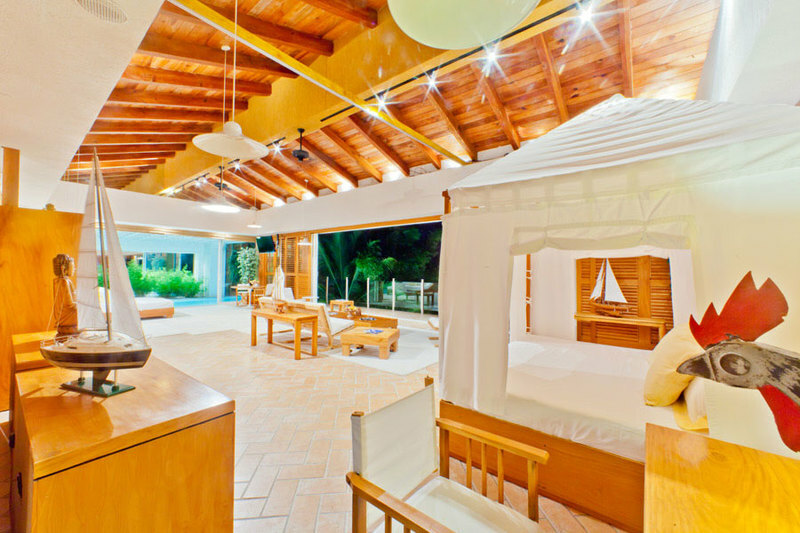 Ideal Wedding Venue for small intimate events only!